Now feel connected to India with YuppTV. SAB TV, the most watched comedy channel in India is available all across the world. 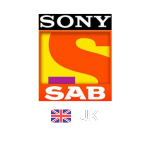 YuppTV now offers SAB TV live in UK and SAB TV live in Europe. No matter in which part of the world you are living, you can always feel connected to your roots. SAB TV is a general entertainment channel that comprises of various awarded shows. It has some of the best comedy serials that work as great stress-busters after a long hectic day. Enjoy the funny bone of Tarak Mehta and laugh out loud with the entire family. YuppTV allows you to stream SAB TV live in AUS and SAB TV live in NZ. The picture quality is good with no interruptions and hassles. You can watch your favorite hindi programs filled with dramas, comedy and fun. We have the largest resource available on the web. All you have to do is select the language and watch your favorite live SAB TV anywhere, anytime in the world.